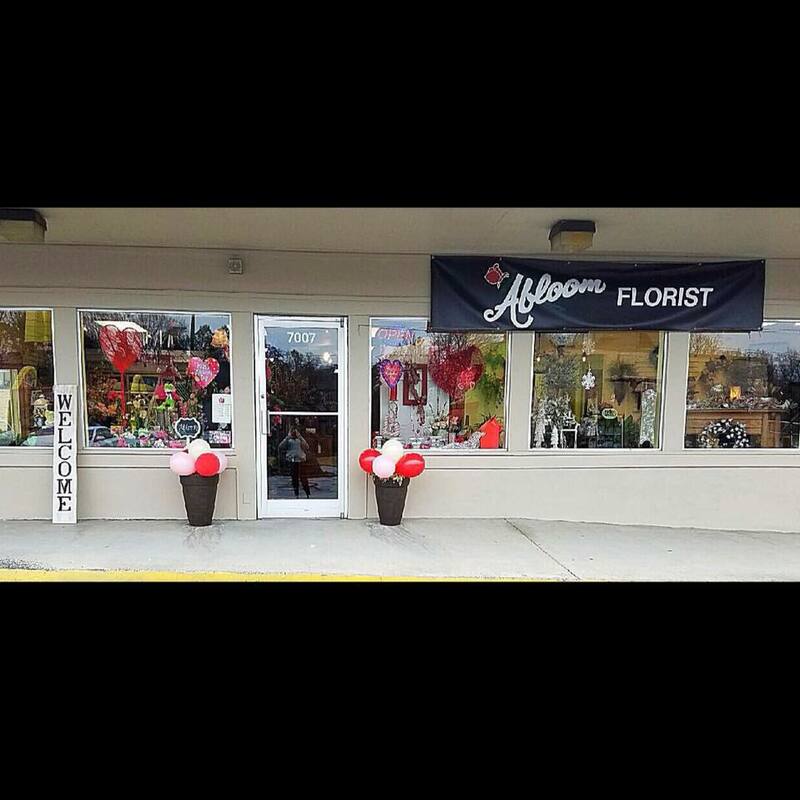 Abloom Florist has been proudly serving Knoxville since 1983. We are family owned and operated with one location serving the greater Knoxville area. We are committed to offering only the finest floral arrangements, gifts, and antiques backed by service that is friendly and prompt. We are the only Knoxville florist who has a Tennessee Certified Florist Designer on staff. Because all of our customers are important, our professional staff is dedicated to making your experience a pleasant one. That is why we always go the extra mile to make your floral gifts perfect. Our shop serves. Greater Knoxville Area, including Concord, Farragut, Halls Crossroads, Fountain City, Seymour, Maryville, Straw Plains, Sevierville, Maynardville, and Oak Ridge. We also offer Annalee Collectible Dolls. We also offer special shipping services, contact us for more details. If you have any questions or need more information, please contact us by e-mail at abloomhd@bellsouth.net We're always here to serve you and make your flower-sending experience a pleasure. Just give us a call at 865-588-7384! A local delivery fee of $9.95 will be added to each order, for each address. (For deliveries outside our local delivery area, this fee may vary.) U.S. orders must be received before 12:00 noon in the recipient's time zone to assure same-day delivery. Orders received after that time may be delivered the following day. We offer special delivery services, contact us for more details. We offer delivery services on Sundays to funeral homes only. Delivery of orders to rural route addresses or cemeteries cannot be guaranteed. We will be happy to accept your international orders if you call our shop directly. We are unable to accept international orders over the Internet.